Why? So we can realize current dreams-and grow bigger dreams for the future. The only purpose of the Unitarian Universalist Foundation of Phoenix is to benefit the UU Congregation of Phoenix. Through gifts and loans, the Foundation assists with projects such as long range programs and major building and property improvements that cannot be normally be sustained through annual operating contributions. The more the Foundation Fund grows, the closer we come to fulfilling the Congregation’s mission. Each year the Foundation has historically distributed to the Congregation an amount equal to five percent of Foundation assets at the end of the most recent calendar year. In 2015, this was $53,716 which went to the Congregation’s annual operating budget. 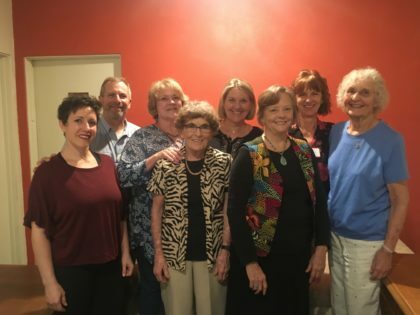 The Congregation’s Board may formally request assistance from the Foundation, for projects that support long-term growth and health of the Congregation and Unitarian Universalism. As the Congregation looks ahead, there are dreams of a more accessible front entrance, of renovations to the patio, of renovations to the Memorial Garden, to name a few. As the Foundation grows, through legacy or planned gifts and gifts honoring or in memory of loved ones, our dreams will come closer to reality. The UUFP Memory Book, kept in the office, is a permanent record of these gifts. To learn more about providing for the Foundation in your estate planning, please see our Chalice Keepers: Leave a Legacy of Love brochure or contact a member of the Foundation Board. To make a gift in honor of someone, you may write a check to the Foundation and include ‘in honor of’ in the memo line. Every member of the Congregation is a member of the Foundation. Six directors are elected by the members at the Foundation’s annual meeting, usually held in conjunction with a meeting of the Congregation. Directors serve overlapping three year terms. Working with our financial advisors and operating from a conservative investment philosophy, the Board manages the Foundation Fund for growth and stability. The Board considers and makes disbursements. And finally, the Board promotes giving to the Foundation and offers programs related to personal financial management and legacy or planned giving.